Established in July 1985, this Foundation provides a multicultural, bi-lingual elementary education for pre-school, kindergarten and grades 1-6, a Junior High School and include a special need programs. The school mission is working together in bi-lingual unity, believe in equity, strives for excellence, participating in the global community and fostering unity in diversity. 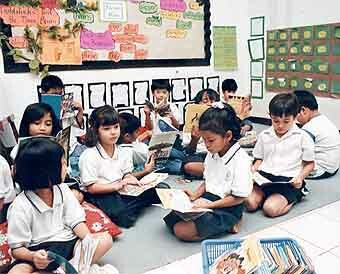 The student population consists of 47% children from mixed heritage, 31% expatriates and 22 % Indonesian.